Happy (Indian) New Year, to all my friends and loved ones! I hope you had a wonderful DIWALI yesterday :) I wish you all a bright, healthy, and prosperous NEW YEAR ahead! I wanted to post a digi before I leave for vaca. 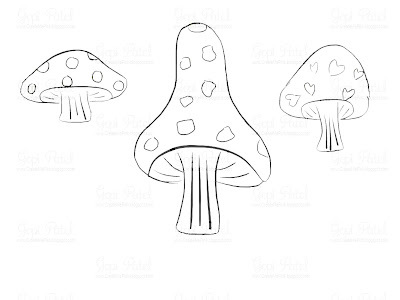 Here it is....not a big fan of mushrooms, but these look adorable hehe.